The AFC North really is a tale of two halves. At the top, the Ravens and Steelers battle it out every year for supremacy, and ultimately both end up in the playoffs; and at the bottom the Browns and Bengals were battling it out for top 10 picks in the 2011 draft (earning the 6th and 4th picks respectively). Are things set to change in 2011? Will the Steelers or Ravens fall back in to the pack? 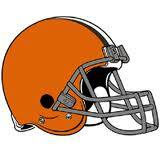 Can the Browns take that leap forward and challenge for the division title? Can the Bengals please stop wearing those disgusting uniforms? More after the jump. It fell to the Steelers to once again the Ravens season in 2010. Every year the two go head-to-head twice in the regular season, and the meetings are always brutal. Both teams have vaunted defences, filled with playmaking stars and crushing hard-hitters, and in recent times it has been the winner of these battles that tends to have gone on to the most success in the season. Unfortunately for Baltimoreans, that has been the Steelers. Twice in the last three years, both of these divisional rivals have made it to the post-season, and gone on to meet each other (in 2008 in the AFC conference final, and 2010 in the divisional round). Both times the Steelers have come out on top, and gone on to play in the Superbowl. Key to Success this Year: It’s obvious really isn’t it? Beating the Steelers. It’s something they managed to do in week 4 last year, just. Whilst the Steelers started 3-0 without Ben Roethlisberger, the Ravens had got to 2-1 beaten only by divisional rivals (and what turned out to be whipping boys) the Bengals. Even without the Steelers #1 QB and leader, it took a last minute TD pass from Joe Flacco to TJ Houshmandzadeh for the Ravens to beat them. But this is the exception rather than the rule – in fact in the last 3 seasons the record stands at 2-6 in Pittsburgh’s favour. So what have the Ravens done in the off-season in attempt to get out of this rut and finally come out on top in the North? Well they’ve certainly tried to make their offence more potent. In order to help out Joe Flacco they’ve added some outside threats they have been sorely lacking in recent years. They practically stole Lee Evans from the Bills for a handful of buttons, and they will hope he can make the #1 WR role his own in Baltimore. They also looked to add some speed through the draft, selecting Torrey Smith from Maryland with the 85th overall pick. Against a defence as destructive as the Steelers, the addition of some pace will hopefully spread the field a little, and give Flacco and running back Ray Rice more room to work in. In terms of the running game, FB Vonta Leach was added over the summer, and will have a chance to prove that he really is the best FB in the NFL. Last year he led the way for relatively unknown Arian Foster to tear up the league in Houston, and if Ray Rice’s numbers rocket in the way many expect them to with Leach in front of him, it’ll be a huge boost for the Ravens and vindication for Leach. The offensive line has also undergone some transitions, with Michael Oher moving to his more suited RT position, and man-mountain Bryant McKinnie brought in to play at LT. The Ravens also kept hold of Marshal Yanda at guard, a move that didn’t get as much praise as it deserved, as he’s a key piece in this Baltimore machine. On the other side of the ball, the Ravens have been respected and feared for quite some time. Talismanic leader Ray Lewis is still going at 36, the secondary is still being patrolled by ball-hawking safety Ed Reed (provided his body doesn’t fall apart again), and the D-line is still being anchored by easily my favourite D-lineman to watch in the whole NFL – Haloti Ngata. He is a huge 350 pound beast who can bull rush even the stoutest offensive lineman, is nimble enough to catch virtually any QB trying to escape the pocket, and is almost immovable in the run game. As if the Ravens needed any more help on this side of the ball, their 2009 draft selection Sergio Kindle, who missed the whole of last season due to devastating head injuries sustained when he fell down two flights of stairs just months after being drafted, has now been medically cleared to return to football, and has the potential to be the outside backer in the mould of DeMarcus Ware the Ravens have been craving. 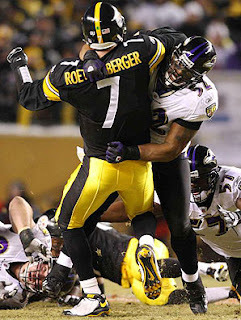 Maybe if the Ravens are ever going to turn around this losing form against the Steel Curtain, now is the year to do it? Biggest Hurdle To Overcome: Joe Flacco. The Delaware product has done enough in his 3 years in the league to lead the Ravens to the playoffs 3 times, but he’s always fallen at the last hurdle. In his 3 playoff defeats to date he has the combined records of 49/95, 455yds, 1TD, 6INTs. Says a lot really. 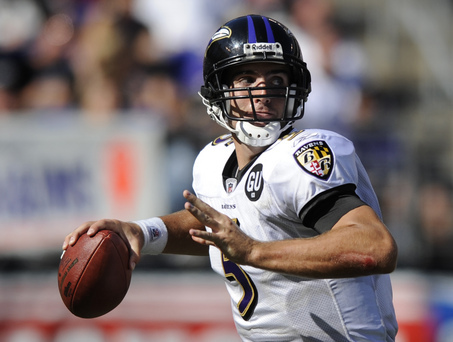 If the Ravens want to take that next step, and make their way to the Superbowl (which I believe they are capable of doing), then they need Flacco to play to his potential every single game. When he chokes, their season ends. Ray Rice - 2011 Fantasy MVP? Keep an Eye On: Ray Rice. As I’ve said in previous posts at TPL, I think Ray Rice is primed for a huge season, and have chosen him as my pick for fantasy football MVP in 2011 (and I also own him in 4 of my 7 fantasy leagues, so you can’t say I don’t put my money where my mouth is!) With Vonta Leach ploughing holes for him, and a solid offensive line in front of that, Rice can do big things this year. He has also lost the threat of Willis McGahee behind him, who stole a number of goalline TDs from him in 2010. Combine that with his receiving ability out of the backfield and I think you have one of the hottest prospects for the year. His success will directly affect the play of Joe Flacco and the eventual success or failure of the Baltimore Ravens in 2011. Schedule: An opening day visit from the Steelers is not a pleasant prospect, and neither is the rest of the schedule prior to their week 5 bye (@TEN, @STL, vs NYJ). Many teams facing that schedule would expect 1-3, but the Ravens will need to be 3-1 if they mean business this year. Cincinnati Bengals – Bad to worse? Oh dear. That’s all I can say really. 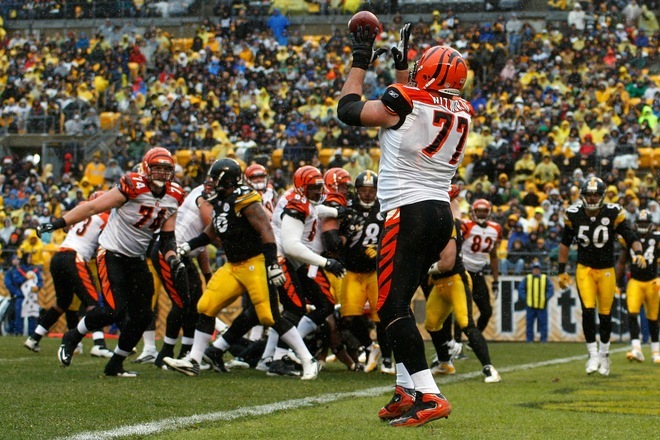 2010 wasn’t a good year from the Bengals, and 2011 isn’t shaping up to be much better. It really wasn’t too bad a start for Cincinnati last year, despite an opening day loss to the Patriots (no shame there) they moved to 2-1 with a surprising win over the Ravens, and a not-so-surprising one over the Panthers. Unfortunately it took them until week 15 to record win #3, finally finishing the year at 4-12, worst in the AFC North, and with the 4th overall pick in the draft. By the end of January, starting QB Carson Palmer had requested a trade, precipitated by not only the team’s inconsistency in playing form, but also through exasperation with some of his more “media” interested teammates, like wide receivers Chad Ochocinco and Terrell Owens. Team president Mike Brown refused the trade request, and so began one of the more frustrating stories of the lockout. According to Palmer doesn’t have to play anymore, he has enough money in the bank to last him for life. The only thing he has to play for is love of the game, and he doesn’t love playing in Cincinnati. The Bengals argument rests with Carson’s contract. He is signed through 2014, and they expect him to see it out rather than agreeing to trade/release him; in Mike Brown’s words: “He's going to walk away from his commitment. We aren't going to reward him for doing it.” As it stands to date, Palmer is on the reserve/did not report list for not turning up to Bengals camp, he has played no part in the preseason, and intends to retire rather than ever play for the Bengals again. Despite rumours swirling around that the two sides have been in talks over the summer, there are as many people denying it as there are suggesting it. Key to Success this Year: Replacing Carson. Face it, he’s gone. I can’t see a single scenario where Carson Palmer plays another game dressed like roadkill, sorry, in a Bengals uniform. That doesn’t mean his value to the organisation is 0 though. There are plenty of teams in the NFL that have not got a viable long-term back up, and if their starting QB went down, might be straight on the phone to Mike Brown with an offer. It’s worth their while keeping hold of him, just in case. As far as playing at QB is concerned though, they need to forget Palmer and everyone related to him (fortunately, younger brother Jordan didn’t make the final 53 in this weekend’s cuts). On the current 53, the Bengals have two options: Bruce Gradkowski, acquired from Oakland in the off-season, and rookie 2nd round selection Andy Dalton out of TCU. Now, I’m not really sure how to put this nicely, so I’ll just go ahead and say it. TROUBLE. I have to believe that Gradkowski is the sensible guy to start week 1, because when a rookie QB is not clearly the #1 guy on the roster it has to be better to sit him for a while and give him a chance to adjust to the NFL (exactly what Jacksonville are doing with Blaine Gabbert behind David Gar... Luke McCown?). The problem is, Gradkowski is hardly a go-to guy. 20 NFL starts, 20TDs, 23 INTs, 52 sacks... Not someone you can install with confidence, but as a choice between that and starting a 2nd round rookie (and 4th QB selected in the draft) I’d go with Bruce. Dalton himself is a talented prospect, and the Ginger Ninja seems to have all the tools he needs to succeed in the NFL except one: time. Given the opportunity to sit behind and learn from an experienced signal caller (a la Rodgers and Favre), Dalton could be brought along slowly and allowed to mature into a starting calibre QB. As it is, it seems likely the Bengals will award him the start in week 1 and cross their fingers he doesn’t get destroyed/demoralized too quickly. I fear for him. On the plus side, the Bengals do have some pieces in place to help out whichever QB ends up starting. In an attempt to help Carson in 2010, the Bengals added TE Jermaine Gresham and WR Jordan Shipley in the draft – both of whom showed flashes adequacy last season, and when given more of a chance in the final weeks as the Bengals moved away from the now departed Owens and Ochocinco they showed quite a lot of talent. In addition to these, AJ Green was the team’s top pick in 2011: the #1 rated WR in the draft. If he can prove to be a weapon for the offence, and the QB can find him, then maybe the Bengals have a chance? Biggest Hurdle To Overcome: Unfortunately, the biggest asset to help a vulnerable passing attack and a rookie QB is a solid running game – something the Bengals lacked in 2010. They had a league worst 3.6YPC, averaged 95.1YPG (27th in the NFL), and scored only 8 TDs on the ground (29th). Cedric Benson accounted for the majority of these stats, but took a vast step back from his stellar season in 2009 – recording 140 yards less, despite playing 3 games more. He also gave up 7 fumbles in 2010. Whether the failures of 2010 were down to Benson himself or the offensive line is up for debate. What the Bengals have done in the off-season is to resign tackle Andrew Whitworth to a contract averaging $10m a year through 2015. Whitworth has developed in to a key asset for the O-line, having started his career inside at guard before moving out to LT. He, along with Kyle Cook at C and projected starting guards Nate Livings and Otis Hudson will probably be responsible for the outcome of the season for Cincinatti. Keep an Eye On: Leon Hall. The cornerback was drafted in the 1st round in 2007, and in Cincinnati became part of a formidable CB pairing with Johnathan Joseph. Hall signed a four year $39m contract extension last week, locking him in as the teams #1. With Joseph having moved down to Houston, Nate Clements becomes Halls CB partner, but the depth behind them looks reasonably weak. Hall will need to play as well as he’s been paid to shut down half the field and avoid quick scoring plays for their opponents – after all, who knows how many points their offence is going to be able to score. Schedule: Quite frankly any schedule for the Bengals is going to be tough in 2011. However, they benefit from facing the weak NFC West (4 teams that the other 28 all have a chance against), and this gives them the opportunity to get a win or two. Where the other wins will come from, I don’t know. 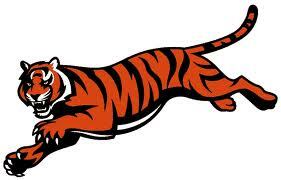 Prediction: 3-13 – Sorry Bengal fans. Dalton is going to get schooled. Throwing him in at the deep end doesn’t bode well for this season, and might damage him for the future. I can see a couple of wins against the NFC West, and possibly one against the Bills/Browns, but nothing more. The story of 2010 for the Browns is difficult to describe – 3 different starters at QB, a power running game that earned their feature back a spot on the cover of Madden 12, and grand total of 5 wins to their name; but even that doesn’t really sum them up. 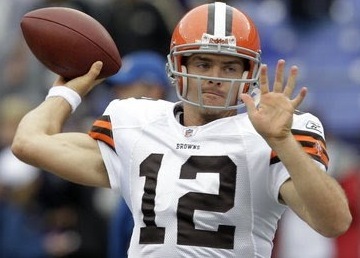 The Browns never intended to play Colt McCoy under centre in 2010. 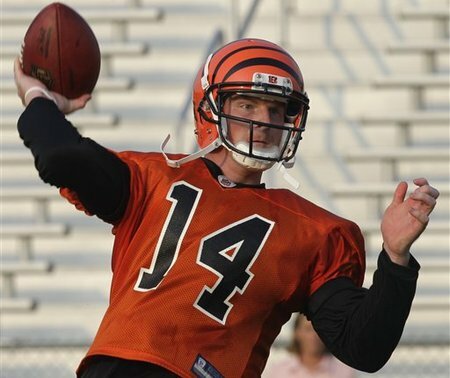 After drafting the former Texas Longhorn in the 3rd round in 2010, they had hoped to sit him for the year (as the Bengals wish they could do with Dalton) to absorb the playbook and mature. By week 6 however (at 1-5), week 1 starter Jake Delhomme, and weeks 2-5 starter Seneca Wallace were both laid up with ankle injuries, and that left the Browns with rookie McCoy, or Brett Ratliff (signed only days earlier as injury relief). As it was, the Browns bit the bullet and threw in their young signal caller. Fortunately, it was only against the Steelers, and only in Ben Roethlisberger’s return from suspension... The result was a fairly comprehensive 28-10 win for Pittsburgh, but McCoy did far better than many expected – finishing 23 or 33 for 281 yards, a TD and 2 picks. It was enough for him to retain his start in to the next week, and despite only throwing for 74 yards, he didn’t turn the ball over (unlike his opposing number Drew Brees) and helped lead the Browns to a shock 30-17 win over the Saints. Were it not for a high ankle sprain later in the season, McCoy might have played the year out. He finished with a total of 8 starts, 60.8% completions, and threw for over 1500 yards and 6TDs. Unfortunately for him, he was also sacked 23 times in these games, including 6 against the Jaguars, and a total of 9 times against the Steelers in 2 meetings. McCoy has to take some of the blame for these sacks (which is understandable for a young guy adjusting to the NFL), particularly as during the other 8 games in which McCoy wasn’t under centre, the O-line only gave up a total of 13 sacks. Not really surprising when you look at who’s playing left tackle. Big Joe Thomas was drafted 3rd overall in 2007, and quickly established himself as one of the best tackles in the entire league. The Browns clearly agree, having signed him to a 7-year, $84m contract extension last month. Combined with excellent young centre Alex Mack, the Browns have the start of a really strong offensive line which will help protect Colt McCoy again in 2011, hopefully allowing him to improve on his first few starts in 2010. Unfortunately injuries are already taking their toll, with Eric Steinbach going on to IR, and Tony Pashos finding himself in walking boot. The Browns are scrambling to find a starting O-line for week one, with rookie Jason Pinkston and newly acquired Oniel Cousins and Artic Hicks looking like competing for the available slots. McCoy will need to do some of the sack prevention work himself. Can Colt breakout in 2011? Although McCoy’s rookie year was a pleasant surprise, it was nothing compared to the breakout performance of Peyton Hillis. Again thanks in no small part to the O-line, 3rd year back Hillis exploded, scoring at least one TD in 10 of his first 11 games, including 3TDs and 131 yards against the Panthers in week 12, and 2TDs and 184 yards in a surprise week 9 win over the Patriots. He finished the year with 1177 yards and 11TDs on the ground, with another 477 yards receiving and 2 more TDs. Despite a slight case of fumblitis (some said due to his biceps being too big to safely grip the ball), Hillis was good enough to earn himself the role of coverboy on the recently released Madden 12. Obviously this means he’ll succumb to the Madden Curse, and will have a horrible and injury plagued season in 2011, but if he is fit and running hard in 2011, he’s someone who can continue to take pressure away from McCoy, and help the offence to be more productive as a whole. New HC Pat Shurmer has already stated he plans to use Hillis more sparingly this year so that he doesn’t burn himself out, so hopefully this approach will give the Browns effective all year. Key to Success this Year: Stopping teams running all over them. The Browns 22nd ranked defense did not have a brilliant 2010, as you’d expect from a 5-11 team. They ranked 27th against the run, allowing 129.4 YPG, and forced only 4 fumbles all year. To address this issue, the Browns added some new faces to the D-line through the draft. They were part of the gangbusters trade with Atlanta (moving from 6th to 27th in the 1st round in return for 2nd and 4th round picks in 2011, and 1st and 4th round picks in 2012) which gave them a luxurious selection of picks to work with. 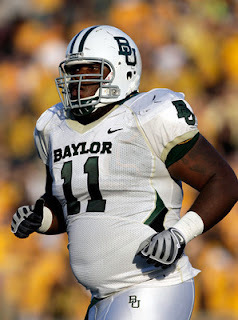 In the first round they took NT Phil Taylor from Baylor – a guy widely touted as the best NT in his class, and who has instantly stepped in to the starting lineup to fill the shoes of recently departed Shaun Rogers. In the second round they selected DE Jabaal Sheard, another player highly rated for his position, and someone who the Browns will hope can not only provide solidity against the run, but also get after oppositions QBs and help in the passing game too. The Browns have managed to keep their linebacking corp in tact from 2010, with Scott Fujita, D’Qwell Jackson and Chris Gocong all looking like starters for 2011. Keep an Eye On: Joe Haden and the secondary. Haden was the Browns top pick in 2010, and as a rookie he played excellently, playing all 16 games, recording 6 interceptions, 18 passes defended, and a sack. He will once again be partnered with the experienced Sheldon Brown who moved over from Philadelphia last year and recorded 2 picks of his own. 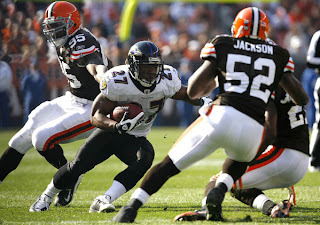 The Browns actually finished 8th in the NFL in interceptions last year, and will hope to continue this form in to 2011. A solid secondary, in a division sporting future HoF DBs, can only serve to improve the Browns as a whole. 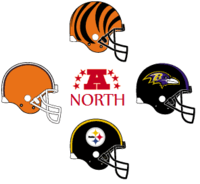 Schedule: Any AFC North schedule is bound to be tough, and many will chalk the 4 games vs Pittsburgh and Baltimore up as losses before the season has even started – but games against the weak NFC West as well as Cincinnati will help. The Browns have also been very lucky with their start to 2011: a visit from the Bengals and rookie Andy Dalton in his first NFL start, a trip to Indianapolis at a time when Peyton Manning will be well below 100% if he plays at all, and then welcoming the Dolphins and under pressure QB Chad Henne. Prediction: 8-8 – I like the Browns a lot more than some other people will this year, and if it weren’t for the fact that the Steelers and Ravens will each win at least 10 games then the Browns could be Wild Card contenders. Still, if the Browns can build on the successes of last year and cut out the mistakes, they could be on the path to respectability. When it comes to the defeated Superbowl team, it’s hard to do justice to their season. By definition they had a good enough season to make it to the playoffs (in the Steelers case, to get a 1st round bye with a 12-4 record), as well as to win a couple of post-season games against the top teams in their conference. However, the lingering taste is always of failure, and memories of those plays that meant their visit to the Superbowl did not end happily seem to define them. It shouldn’t be though, the Steelers did better than 30 other teams in the NFL, and it was just the Packers that got the best of them in the end. Even the 4 defeats the Steelers suffered in the regular season (vs Bal, @NO, vs NE, vs NYJ) were not un-avenged. In the return fixture @ Bal, the Steelers came out on top 13-10, as well as knocking them out of the playoffs in the divisional round 31-24. In the AFC title game the Steelers got their revenge on the Jets 24-19. Had the Patriots/Saints made it far enough in the playoffs, maybe they too would have fallen. In the end, the Packers were just too good for the Steelers – winning the Superbowl 31-25 thanks in part to a huge performance from Aaron Rodgers. The Steelers seemed to be in the ascension at the top of the 4th quarter, down 21-17 but having clawed themselves back from a 21-3 deficit at half time. With the first play of Q4, Rashard Mendenhall took a handoff from Big Ben and took off to the right, running behind tackle Flozell Adams. Unfortunately for Mendenhall, defensive lineman Ryan Pickett and outside backer Clay Matthews had already dominated the point of attack, and Matthews hit Mendenhall in the backfield, dislodging the ball with his shoulder and popping it in the air. The first man to react was Packers LB Desmond Bishop, who recovered the bobbling ball safely for the Packers. This moment signalled a huge momentum shift, as the Packers moved down the field quickly and efficiently and put another 7 points on the board to give themselves an 11 point lead with just 12 minutes left. Mendenhall didn’t get another carry in the game, and the Steelers weren’t able to come back again. Can the O-line keep Ben safe? Key to Success this Year: More offensive consistency. The Steelers ranked only 14th in total offence in 2010, carried by their #2 ranked D. Having Ben Roethlisberger back for a full 16 games this season will of course help. They managed to go 3-1 without him last year, with Charlie Batch filling in successfully, but Roethlisberger is absolutely vital to the success of this team in the long run. To help him out, the O-line will need to be improved from last year. They allowed 43 sacks, 8th in the NFL, and this number could have been even higher were it not for Ben’s play-extending ability. Maurkice Pouncey, the 2nd year centre, will return having missed the Superbowl with a left ankle injury. Despite re-injuring it in the pre-season, Pouncey is expected to start week 1 against the Ravens (a huge boost for the Steelers against that D-line), and will hope to build on what many think was a season worthy of the offensive rookie of the year award. RT Willie Colon also returns from injury, after missing the whole of 2009 with an Achilles tendon rupture, and will instantly improve that position over his backup Flozell Adams. At LT, Jonathan Scott has made the position his own after replacing injured Max Starks half way through 2010. Guard Chris Kemoeatu remains steadfast at LG, and Doug Legursky, the man who replaced Pouncey at C in the Superbowl, gets the start at RG. The Steelers main offensive weapons remain the same as 2010, with Mike Wallace still the main deep threat target for Ben, and Mendenhall still the undisputed #1 back. Biggest Hurdle To Overcome: A weak secondary. Yes, that’s right, the Steelers D has a weakness. Even with the Tasmanian Devil Troy Polamalu back in the lineup and fit for the 2011 season, the Steelers look thin at corner, and the Packers were able to exploit this in the Superbowl. They managed to re-sign Ike Taylor in the summer to be their #1 guy again, who fits the Steelers scheme well despite not being a top notch player, but they only have Bryant McFadden looking like their #2. When the top QBs in the league come to visit, that sounds like a pairing they’ll look to exploit. Behind these two are William Gay and rookies Cortez Allen and Curtis Brown, and although Allen and Brown have a chance to develop in to excellent corners in this league, you just don’t want to start a rookie corner ever. Just ever. Fortunately, the rest of the D will do a lot to help the secondary out. Just listen to the names of the front 7, and tell me where there is a single weakness: Smith (Aaron), Hampton, Keisel, Woodley, Farrior, Timmons, Harrison. Ridiculous. The front 3 also has 3rd year DE Ziggy Hood and rookie Cam Heyward to throw in to the rotation, as if it wasn’t strong enough already. Teams will struggle, as they always do, to run the ball anywhere against the Steelers, they just need to hope teams can’t go to the air too easily. Keep an Eye On: Antonio Brown. The second year WR shined in preseason, leading the league in receiving yards (230) on just 9 receptions, including 3TDs. He’ll certainly help the Steelers offence stretch the field with his lightning pace, and will create matchup nightmares for defences when he is on the field at the same time as Mike Wallace. Not many teams will have the pace to cover both of them. He’ll also hope to make an impact in the return game. New league rules might make KR impotent in 2011, but he has the pace and moves to take one all the way back if he gets the chance, and may be able to do the same on punts. Schedule: For a Superbowl team to have the #28 hardest schedule is ridiculous, but that’s the benefit of playing the NFC West. Opening the season against the Ravens is tough, and some would say a waste of a fixture. Both teams will be rusty and experiencing teething problems, so the winner is anyone’s guess. I don’t think the game will be a true indicator of the season as a whole. That said, there are very few teams on the Steelers schedule that I can see giving them problems. Prediction: 13-3. The Steelers and Ravens will likely split the wins again in 2011, and teams like the Patriots have a good chance of beating them, but other than that, I can’t see many defeats for Pittsburgh. I’ve given them 3 defeats because I’m sure someone will surprise them, or Ben will throw a couple of careless picks, but this will be the exception and the Steelers will have a nice Bye again in the Wild Card round.